The ScanPal™ EDA60K mobile computer is Honeywell’s new light industry handheld device featuring a highly adaptable design. 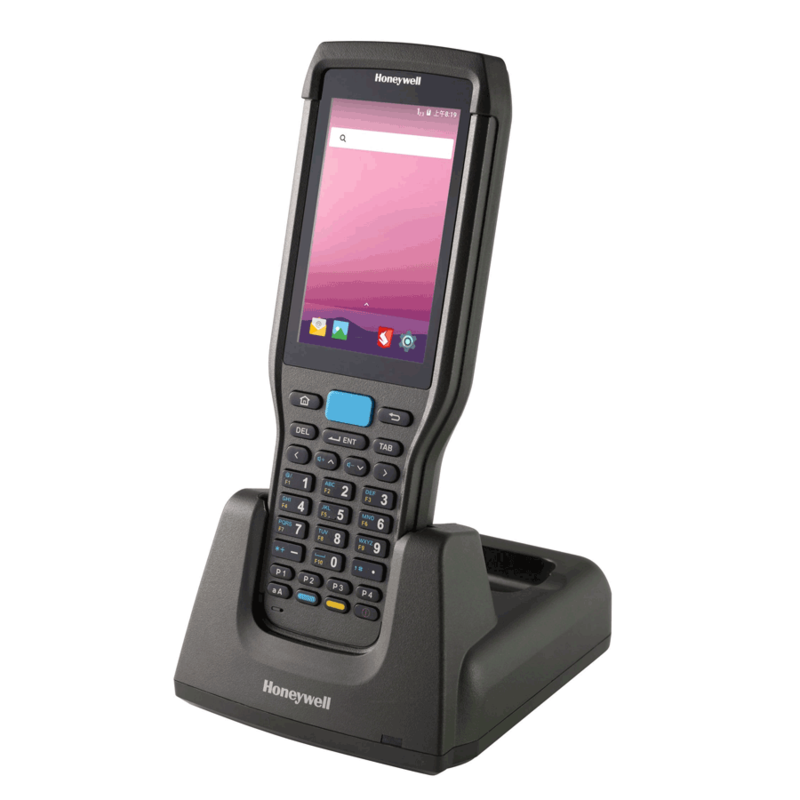 From the wellreceived Android™ operating system and dual-band Wi-Fi connection to robust storage capabilities and advanced data entry options, the ScanPal EDA60K device is ideal for frontline workers in retail inventory management, distribution centers, and e-commerce logistics. The ScanPal EDA60K device features an ergonomic 30-key numeric physical keyboard, as well as flexible 1D and 2D scan engine options – making it well-suited for picking, packing, putaway, and other workflows that require fast standard-range scanning and frequent keypad data input. But it also has an easy-to-use modern touchscreen for intuitive, simplified access to the Android system and essential business applications. The ScanPal EDA60K mobile computer features a rugged yet ergonomic design, that minimizes downtime and helps improve productivity for mobile workers. It can withstand multiple 1.5 meter (5 ft) drops to concrete and 1,000 (0.5 m) tumbles, and features IP64 seal rating protection against dust and water spray. It also delivers industry-leading battery life that will last through a full shift and beyond – minimizing the time and expense incurred when batteries need to be charged or replaced. The ScanPal EDA60K device offers rugged durability, an ergonomic design, and a perfectly balanced combination of features for light warehouse management workflows. For customers using Honeywell CK3 mobile computers, it also offers a lower total cost of ownership because of its backward compatibility with CK3 pistol grip and battery charging accessories.